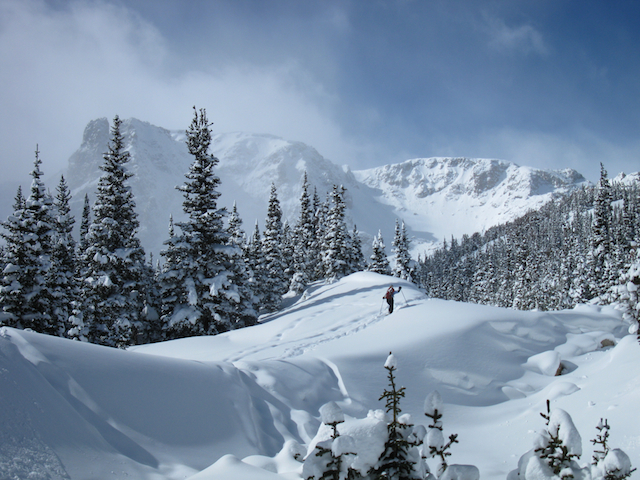 The Warming House, a local leading outdoor adventure company, has organized a snowshoe excursion in which participants get to stay at three iconic Estes Park hotels: The Allenspark Lodge, Estes Park Resort and The Stanley Hotel. Winter Play Package – Located on the banks of Fall River, River Stone Resorts offers the seclusion of the mountains, yet guests will find comfort in the close proximity to local shops and restaurants. 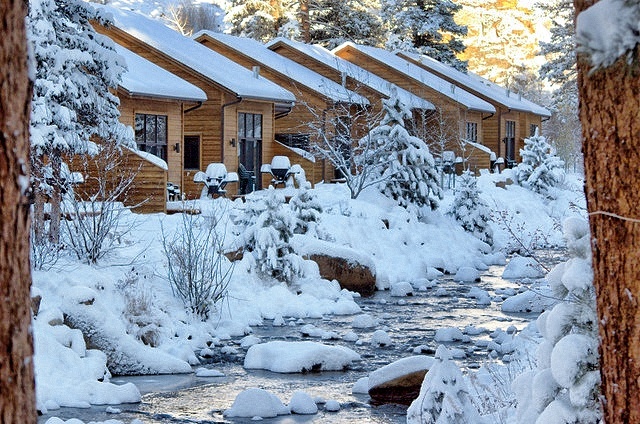 DEAL (Save nearly 50%): Two nights’ stay, snowshoe rentals, Rocky Mountain National Park pass and hot chocolate. Available through May 1, 2014. Rates start at $310 per couple. Situated on the slopes of McGregor Mountain, McGregor Mountain Lodge boasts spectacular views while offering the comforts of home in their log cabins. 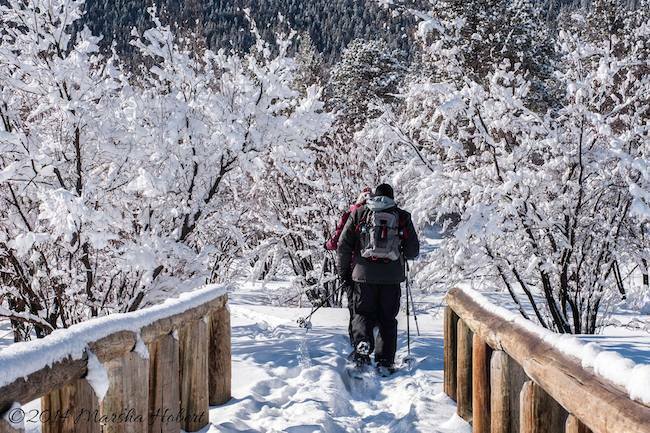 DEAL (Save 30%): A private, guided snowshoe tour with rentals, lunch, hot chocolate, free movie rentals, a box of Rocky Mountain Chocolate Factory chocolates and firewood for in-room. Available through April 30, 2014. Rates start at $199 for two people in addition to the room rate (Room rate will depend on type of accommodation chosen). 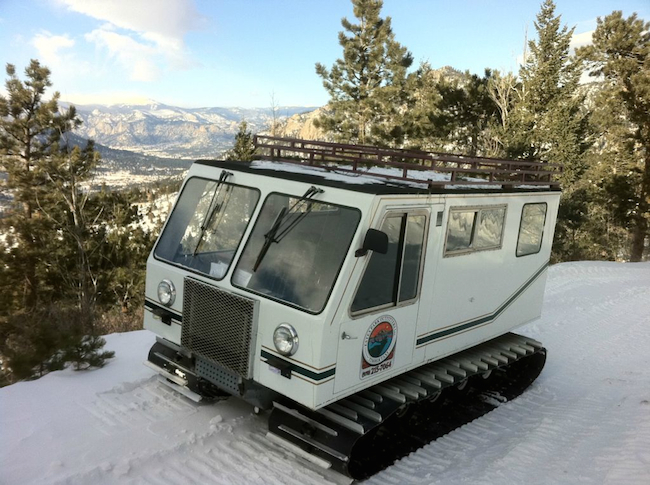 To learn more about what to see and do in Estes Park, CO., visit www.visitestespark.com.